The first 12GA FH was Robs on AR forum, my Savage was 2nd. Do you have any idea in FT/LBS what the free recoil of that beast is? Moderate Hunting speeds-That 2000gr Rob gets 14-1500. In my Savage 600gr 2700, 870gr 2300. Hot loads are more. At least in one spot on whatever target. 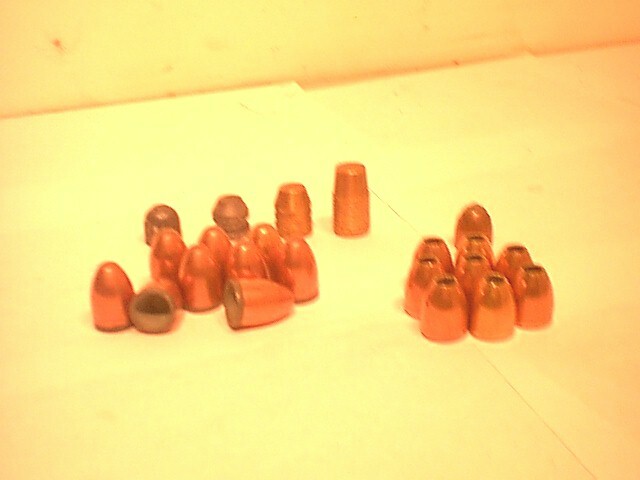 that would handle out 12GA FH and my 700HE. "Far too many men hunt turkeys seeking not the bird but the bubble reputation. And this is in truth a shame." ohhhhh ok. didn't know if you were planning on hunting big foot or something? That's a neat little squirrel gun you boys have put together. Very impressive. AS 'Big Mortie' says, "A perfect squill gun"..
Glad to help get us all turned to childlike curiosity. nose. The TC in the nose is about 5 times denser than AL. insert a real tight type fit. Heat AL, put in insert, cools, locks on. in game. Flat points penetrate straighter in game. on the right and in front a jkt 675gr hollowbase. shorter plastic and brass cases as well as long cases. 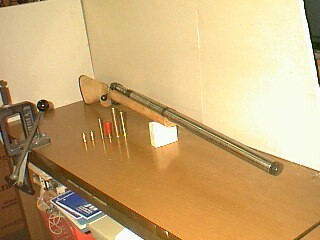 Hubel 458 I find your shotgun experimentation very interesting.I've been trying to figure out how to load sabot slugs using muzzleloader bullets for a rifled slug barrel. 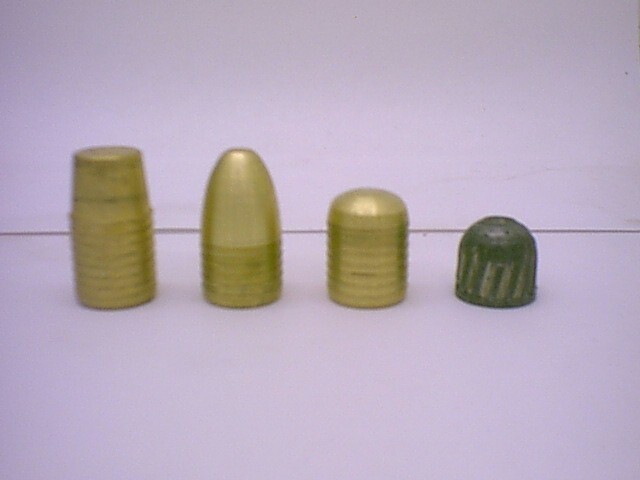 I cant find a source for the components used by the major ammo manufacturers. I did find an interesting article on duplex sabots a while back but there was no mention of components used. Any Ideas or suggestions? 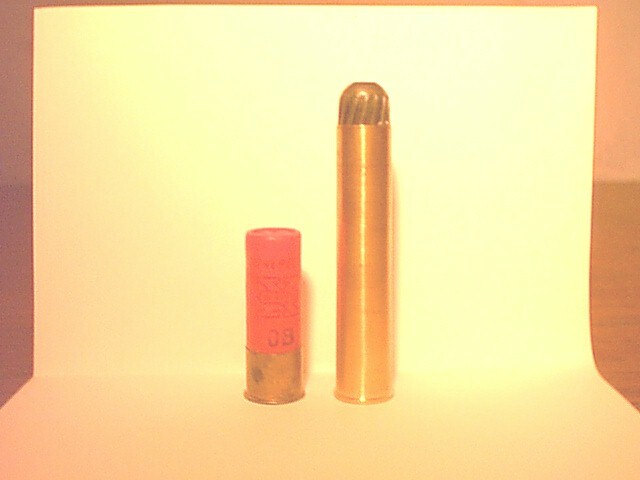 I've only found one saboted slug that will group consistantly in my savage 210 and they are HIGH the Remington 385 gr. cheapest I can get them is $20 for 5 they group real well at 100 yards but drop over a foot at 200 yards start out at 1875 fps do your experiments group well?